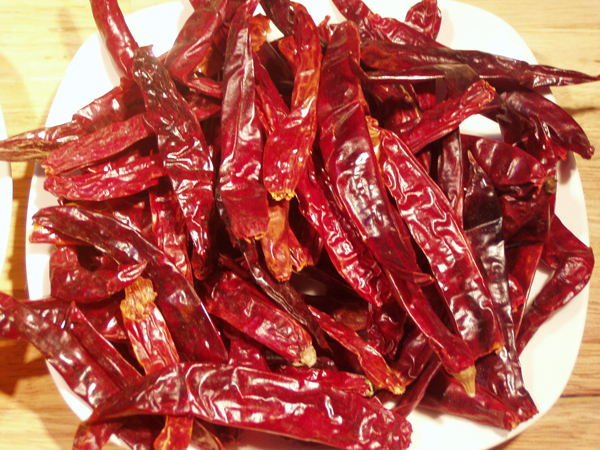 There are several types of dried red chilies used in Thai cuisine. They vary considerably in intensity of heat, with the smaller chili usually being a lot hotter. These large dark red chilies are on the more mild side, and have a delicious herbaceous flavor.